Shane Little interviews the Editorial Team behind New Syndicalist, a source of worker-led, anti-capitalist theory and strategy founded by members of the Industrial Workers of the World in the UK. More people have killed themselves in Northern Ireland since the Good Friday Agreement (1998) than died as a result of ‘the Troubles’ conflict (1969-1998). This interview and session performance with anarchist musician Kevin Jones addresses the ongoing suicide epidemic and its roots in the civil war. Kevin brings his musical expression and anarchist analysis to bear on the issue with a performance of his song ‘A New War’, as part of this interview with Jim Donaghey. The audio is available to stream directly, with transcript. Morris Brodie tracks 80 years of historiography on the Spanish Civil War, from caricatures of anarchists as idealistic and/or bloodthirsty (by fascist, liberal and orthodox communist historians) to an ‘anarchist renaissance’ in civil war historiography in the last twenty years. He includes a list of further reading on anarchists in the Spanish Civil War. Kent Worcester interviews the New York-based anti-authoritarian activist Wayne Price. He traces his political journey from early anarchist and pacifist influences in the 1950s, through the anti-Vietnam War movement of the 1960s and 1970s, to his work as a school psychologist and teachers union activist, and charts his membership of a range of activist groups of various Marxist, Trotskyist and anarchist persuasions. Rowan Tallis Milligan uses this review article of Andrew Fraser’s Invisible: A Diary of Rough Sleeping in Britain (Freedom Press, 2019) to highlight the cruel effects of the current housing crisis in Britain, while also pointing to the resistance strategies that are being employed all over the country. Wangui Kimari, of the Mathare Social Justice Centre in Nairobi, highlights the solidarity campaigns and shared experiences of dispossession between the peoples of Kenya and Palestine. Edurne Scott Loinaz, co-founder of the HAHA Academy, introduces a comparative study of 66 ‘lower left’ organisations – that is, groups that are autonomous from the state, use horizontal organisation for planning and decision making, are not for profit, and anti-capitalist. She points to the importance of thinking and communicating in terms of a dimensional ‘zone of solidarity’, rather than the damaging reliance on binary language. To celebrate the publication of the English language translation of Daniel Colson’s A Little Philosophical Lexicon of Anarchism from Proudhon to Deleuze, we are bringing you a series of articles that respond to this ‘provocative exploration of hidden affinities and genealogies in anarchist thought’. The first is by Teresa Xavier Fernandes, who, in response to Colson’s identification of anarchism as a ‘radical critique of representation’, unpacks Nietzsche’s conception of representation as a ‘lie’. In her Nietzschean typology of ‘liars’ Fernandes identifies the anarchist as a ‘faker’ who reminds us that representation is a trap. The Concept of Representation: Is This a Trap? The second in the series is by Iwona Janicka, who picks up on Colson’s reference to Gabriel Tarde to discuss the role of imitation in shaping behaviour. She points to the inherently mimetic aspects of anarchism, as exemplified in anarchist housing co-operatives and other intentional communities. 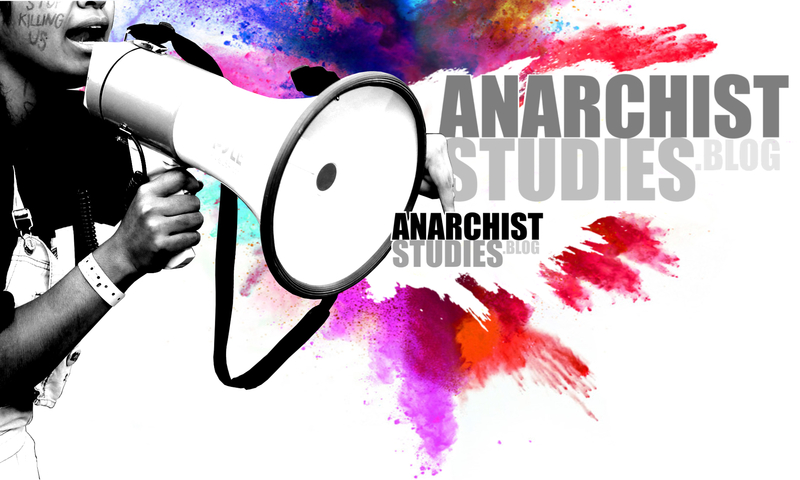 In the third article, Nathan Jun discusses Colson’s consideration of the term ‘anarchism’ itself. Colson argues that the contemporary drive to taxonomically classify ‘anarchism’ negates the ‘infinity of manners’ which the anarchist project ought to encompass. Jun, however, points to the potential for meaninglessness in leaving the term completely open. In the final instalment, Roger Farr offers ‘affinity’ as a path to follow between the Lexicon’s terms, and ruminates on Colson’s own use of the term ‘affinity’ as a potential first step. Political geographer Fabrizio Eva highlights the gap between the principles of inter-state relations (as espoused by the United Nations and the so-called ‘International Community’) and their actual practice, suggesting that the critical stance of anarchist geographies provides a good perspective to better understand ‘International Relations’. The article traces the links between ‘classical’ and contemporary anarchist geographies, before offering an analytical procedure informed by an anarchic critical approach to Geopolitics.